A well-functioning door should open and close whenever you want. If you think that your door works on its own and shuts down when you don't want it closed, then there must be a problem. Some people may find it hard looking at the misbehavior of their doors. But, if your door could not stay open, this only means that the door may have loose hinges. Otherwise, it might be an issue with your door jab. When you don’t install your doors correctly, they will shut by themselves. That’s why they won’t stay open properly. In some cases, when you set up your doors accordingly, they could also get loose if the door frame settles or shifts. Often, the structure could become warped over time. Repairing these problems is quite fast and easy. All you have to do is to follow the ways we have provided on how to fix a door that won’t stay open. 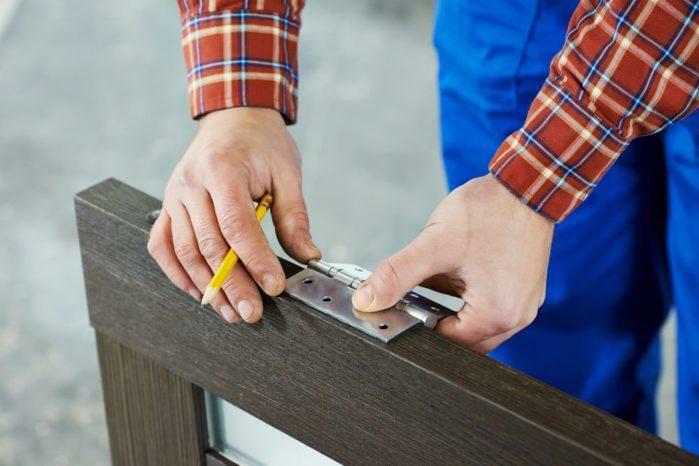 Take Note: Repairing loose hinges may just take you a few minutes. 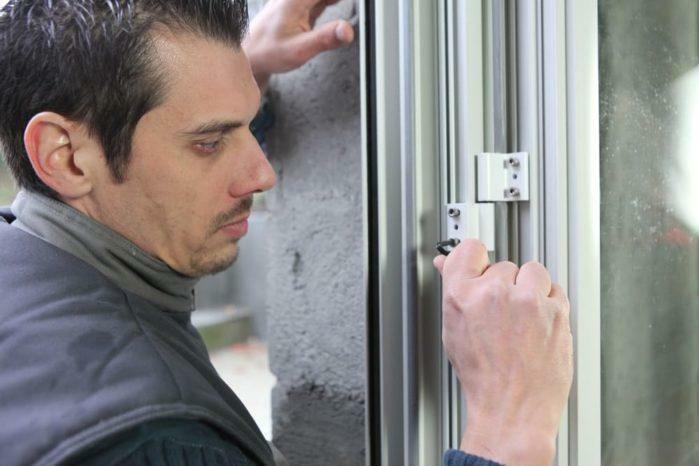 If the hinges are not the cause of the issue, then the repair may take you an hour or more. You have to begin by examining your door hinges. Then, you have to support your door using a stopper. You may use a pile of newspapers or magazines. Try to tighten the door hinges. If this doesn’t fix the problem, you have to check the pin of the hinge. Make sure that it is not full of grease. 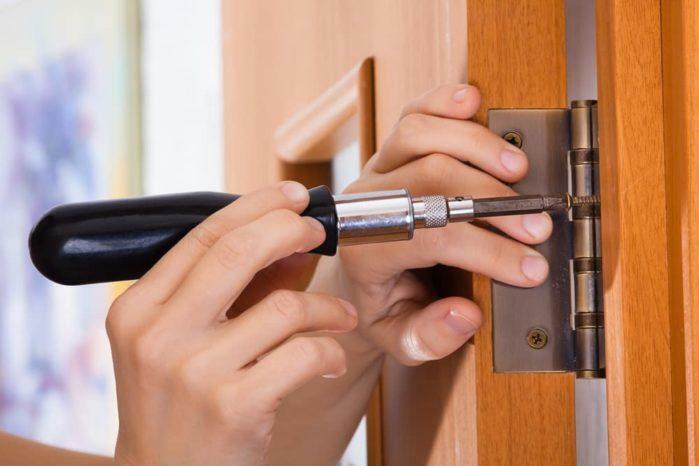 If you have put oil on your door hinge just recently, then get rid of the residual lubricant to fix the over-greased door. If the excess grease is not the issue, then the frame of the door may have moved, leading to the misalignment of the door hinges. You have to assess the position of the flaps as you close the door and perform your inspection. Also, you can use a plumb line. If you have misaligned hinges, you may use several options. 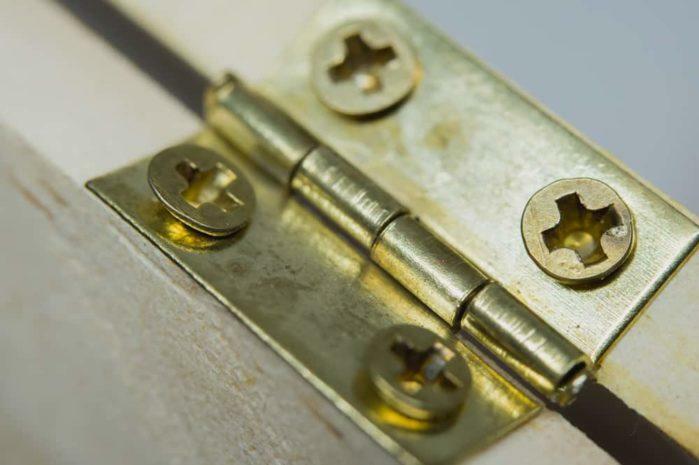 You could utilize a shim to re-establish the alignment of the hinges. Then, bend the pins of the hinges to boost the resistance and realign the door entirely. You have to take away the hinge pin from one of the hinges. Then, place it in a vice and slowly tap it using a hammer. That way, it becomes bent slightly. Put the hinge pins back into their right places. You also have to test the door if it now works correctly. Repeat the whole process with the remaining hooks to have the best resistance you need. To provide additional support, you may also obtain a long screw. First and foremost, you need to open your door and place a door stopper to hold it at the right level. Next, loosen the hinge screws slightly. They can appear nearest to the door frame. Put a shim between the hinge and frame of your door. That way, you allow the hook to push towards your doorway. Re-tighten the door screws. Also, recheck the alignment of the door. If the door still has misalignment, take away of the door from the frame. Then, remove the hinge screws that are still hanging. A chisel can be used to deepen the spots where the hinges rest. Replace the hinges, if needed. For you to re-hang the door, slip the top pin first. Then, follow this up with the bottom. Finally, put the middle pin. Test the alignment of the hinges once again. If possible, repeat the whole process until your door does not shift open by itself. Turning the hinge pins may solve the symptoms of the issue. However, it does not repair the problem, especially when it comes to misaligned hinges. It is an excellent solution to try modifying the door more expansively. But, if the problem happens again, you should take further examinations to look for the cause of the issue and solve it. Be very careful when you adjust the door hinges. If you use an overly large hook, the door might not hang accordingly. So, it may be challenging for you to close and open it. If you encounter such issue, then instead of getting a shim, try to deepen the mortise of your door. In other cases, you may have to shift the hinges of your door frame. If so, make sure that you fill the holes with original hinges. One quick way to do so is to put cocktail sticks and glue in the gap. Then, slice the sticks down to the right size. Paint them once the glue dries completely. Doors can be big and cumbersome. So, it is such a perfect idea to ask someone to work with you when you remove your door frame. Do not risk yourself and become injured in attempting to take away the frame. It is an excellent idea to tackle the swinging doors and loose hinges as soon as possible. That way, you can determine whether you should be alarmed to a more severe problem and you can act on it efficiently. If the door frame is out of its alignment fully, then this may require a more complicated job. So, before you attempt to fix it, you should ask someone to assist you. That way, you can determine the reason why the frame is out of alignment. Finding a solution without clear steps can lead to injuries. So, make sure that you follow the steps and tips indicated above with caution. If a more serious problem arises, then this may be the right time to seek help from an expert. It is also something that you should ignore. If you can, always check your door regularly as prevention is always better than cure. Life Hacks: How to Find the Best Toilet Paper Holder for My Bathroom?